When garlic cloves are dehydrated and ground, the resulting powder is an aromatic and flavorful addition to soups, sauces, and other dishes. 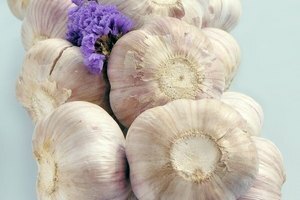 But if too much moisture makes its way into the storage container, garlic powder often clumps, making it difficult to use effectively. 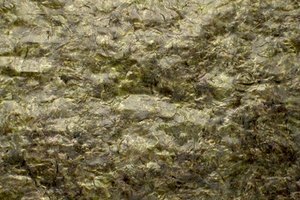 Simple tips for storage and usage can prevent your powder from becoming hard and unusable. 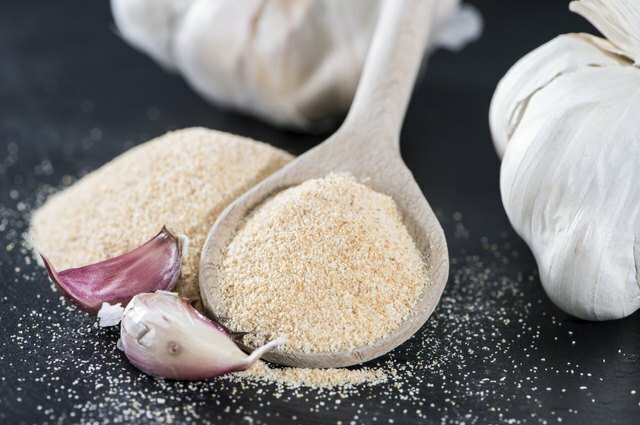 Garlic powder should be stored in a cool, dark place, such as a closet or pantry; shelves near the stove are convenient but increase the risk of garlic powder caking due to heat and moisture. Keep the lid securely tightened after every use. 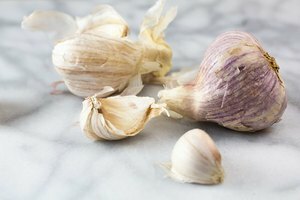 If your garlic powder has a cap that snaps shut, seal it closed; if the cap cracks, transfer the powder into a spice jar with a lid that screws to close it. If you are adding garlic powder to a hot dish, pre-measure the amount needed into a measuring spoon and then add it to the dish. Shaking the garlic powder directly over the steam allows moisture to enter the jar and increases clumping. Many commercial brands include an anti-clumping agent or a starch to garlic powder. Recreate or amplify this effect by adding several grains of uncooked rice or a few dried beans to help absorb excess moisture. 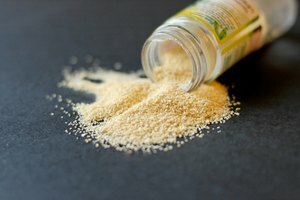 Crushed pieces of soda crackers have the same effect but may inadvertently end up in your food if the pieces are too small.